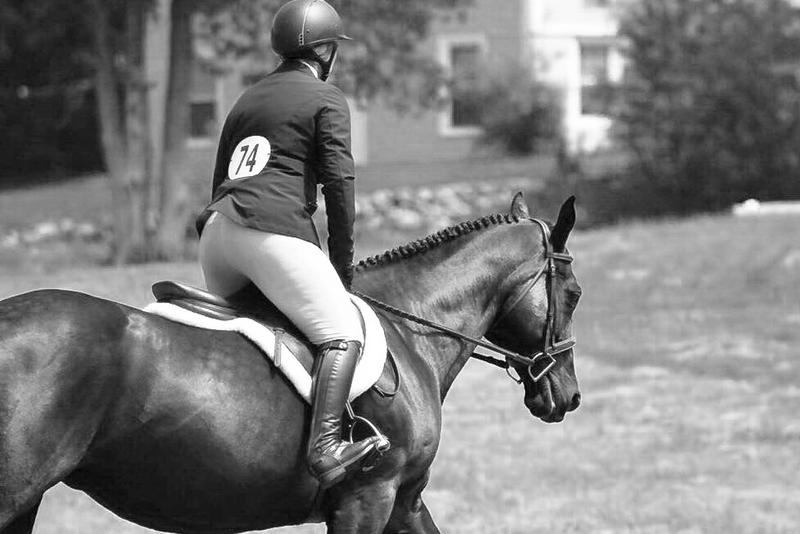 Picking the right gift for the equestrian in your life doesn’t have to be a struggle. 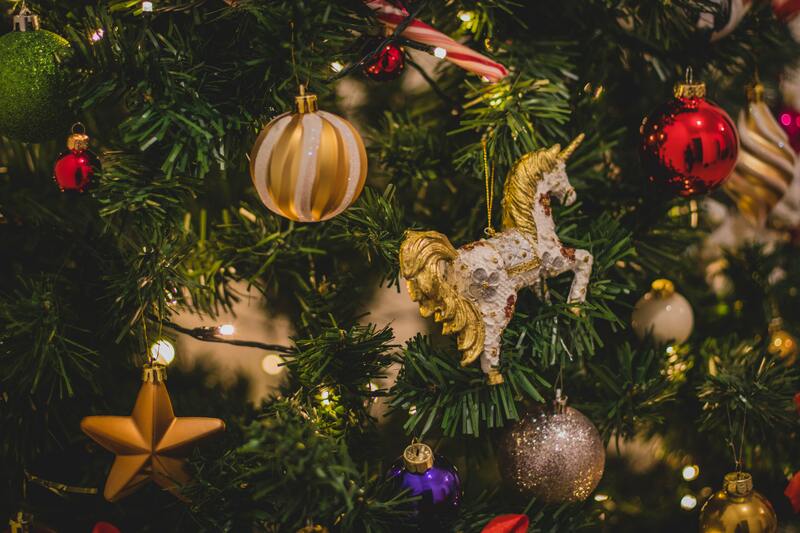 Here’s our top five best gifts for equestrians in 2018. Courtesy of Manastash Millinery’s Facebook page. If your equestrian is heading south, give them protection from the sun they’ll actually look forward to wearing. 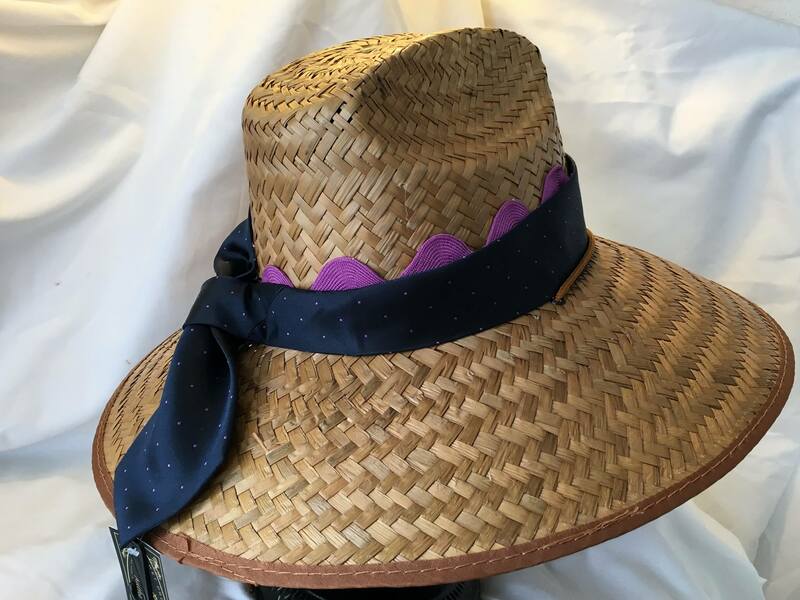 Manastash Millinery makes beautiful custom straw hats (and scrunchies!) with sashes made from high end vintage scarves and brooches. 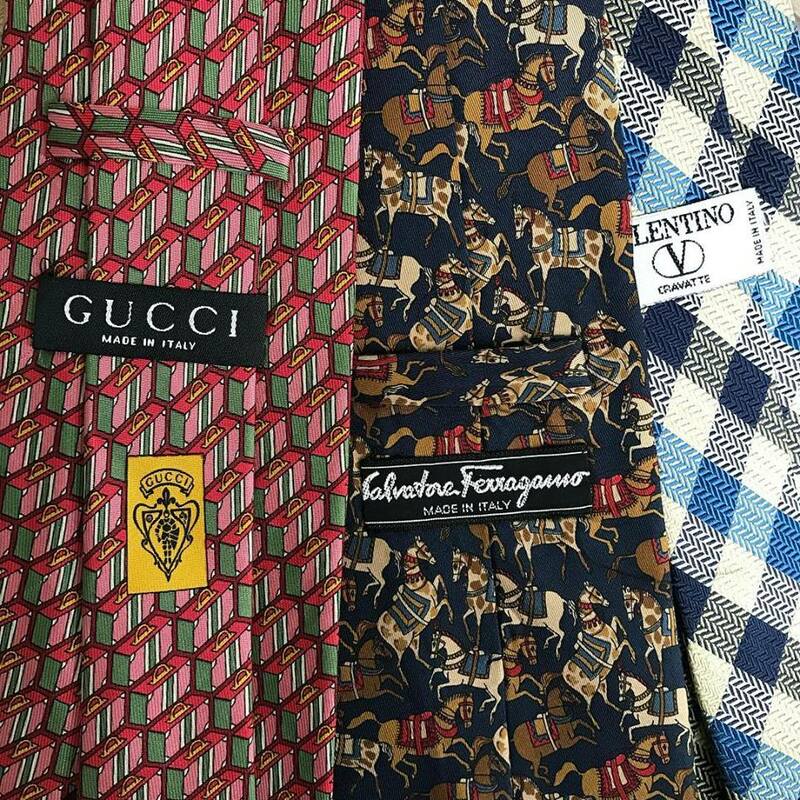 Hermes, Gucci, and Ferragamo are just a few of the luxurious makers who’s printed scarves you’ll see adorning the hats, each hand picked by Tori Willis, owner and creator of both the hats and the millinery. Not sure which hat they’d like? Give them a gift certificate and let them pick it out themselves – Manastash Millinery will be at the WEF weeks 5 & 6. 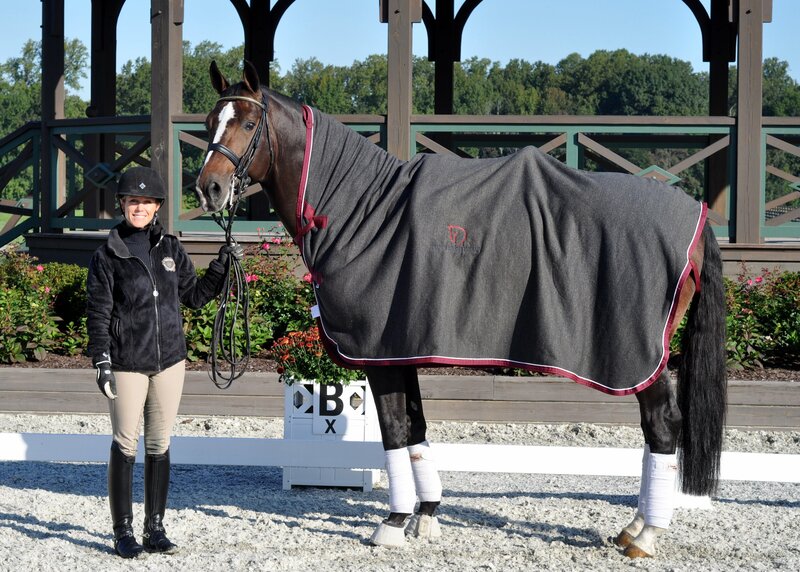 For those equestrians weathering the storm in colder climates, a Draper Equine Therapy® Cooler is the way to go. These coolers serve a dual purpose – they can help warm up/cool down horses from the top of their heads to the dock of their tail (literally). They also double as a snugly warm blanket for the rider to wrap themselves up in while sitting in the tack room, watching a peer ride, or during any down time at the barn or at a show when they need to keep warm. They are even big enough for two people to sit on/under, should the owner feel like sharing! 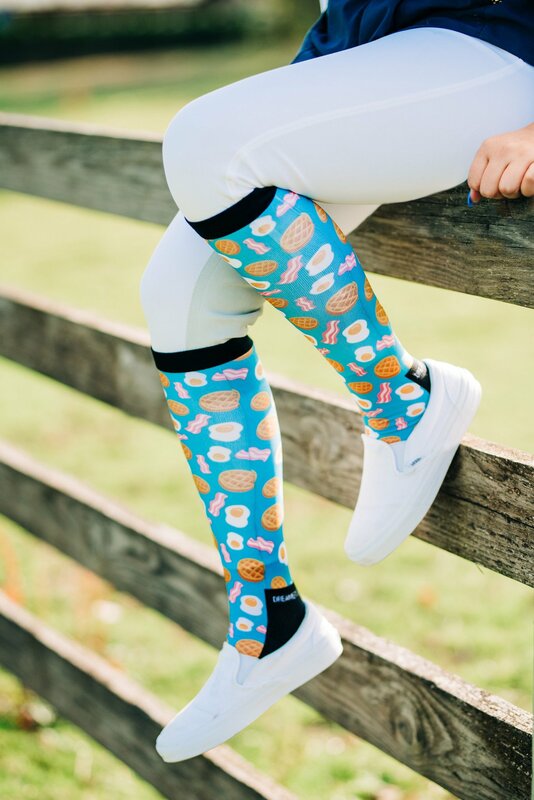 Whimsical, silly, and just plain fun, boots socks from Dreamers and Schemers are a great gift for equestrians with a sense of humor. The socks range from “Goat Pajama Party” to sushi themed so there’s a pair for just about all senses of humor! They’re also cost effective – at only $17.95/pair, they make great stocking stuffers, grab gifts, or add-ons. Sleek, stylish, colorful, and made of high quality leather and jewels. You might think we’re referring to a pair of tall boots or a browband with some bling, but we’re talking about matching spur straps and belts from ManeJane. 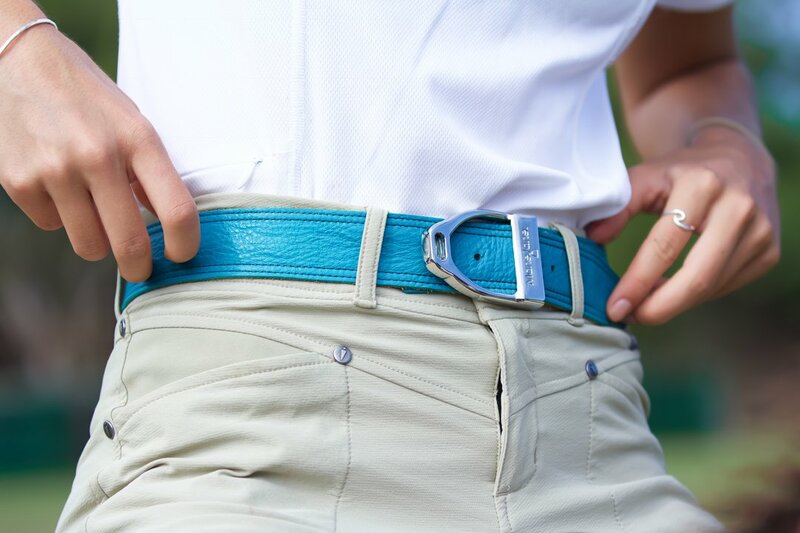 For belts, get the traditional black or brown on one side and a pop of color on the other. For spur straps, the embellishments come in the form of tiny ornaments right around the strap keepers (some very bright and sparkly, some more subtle). Fun fact: ManeJane belts are also reversible so you get two belts in one. It’s important to video your rides, but what do you do if you usually ride alone? Enter Soloshot robotic cameraman. 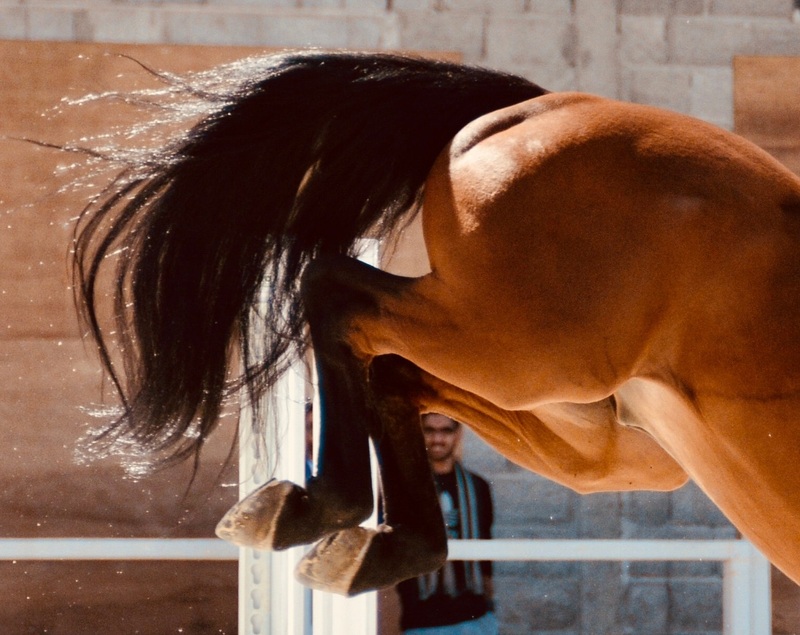 Equestrians have been using these to film their rides for a few years now, but these gadgets are becoming more mainstream. They’re a little pricey, but invaluable to the rider who often doesn’t have a friend or trainer around to video them.